A bestseller gets even better! Every parent, teacher, social worker, therapist, and physician should have this succinct and informative book in their back pocket. Comprehensive and authoritative, Autism Spectrum Disorders explains all aspects of the condition, and is written for parents, educators, caregivers, and others looking for accurate information and expert insight. Being a Friend to Someone With Autism. The Autism Acceptance Book is an interactive, educational, and character-building book that introduces children to the challenges faced by people with autism while also supporting their personal journey toward appreciating and respecting people's differences. A Scientific Approach for Parents and Physicians. 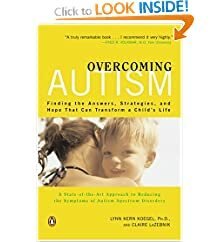 This book shows that autism can be treated by reducing the neurological inflammation that is part of the disease process, rather than simply masking the symptoms with drugs like Ritalin and Prozac. Finding the Answers, Strategies, and Hope That Can Transform. In this extraordinary book, Lynn Kern Koegel combines her cutting-edge expertise with the everyday perspectives of Claire LaZebnik, a writer whose experience with a son with autism provides a rare window into the disorder. Communication, Social, & Academic Development. This book represents the culmination of ten years of autism research by the authors. 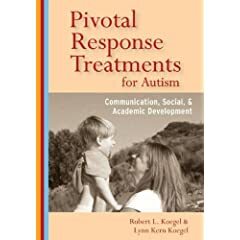 It describes Pivotal Response Treatment (PRT) and details how this program can help children with autism. Bad Science, Risky Medicine, and the Search for a Cure. In this book, Paul A. Offit, a national expert on vaccines, challenges the modern-day false prophets who have so egregiously misled the public and exposes the opportunism of the lawyers, journalists, celebrities, and politicians who support them.